This week, the United States of America (or what currently passes for it) celebrated it’s birthday. Of course, if you’re a longtime geeky comic book fan, you might also know that July 4th is also the birthday of Steve Rogers, Captain America. Abby certainly does! And because she is essentially a human encyclopedia of geeky Captain America knowledge as well as an expert in the ways in which it has played into the cultural evolution of America over the past 80 years, she joins Wayne and Mav in hosting this week, as we are joined by our guest, actor, writer, director and scholar, Kane Anderson, to discuss the evolution of Captain America, patriotic superheroes in general, the difference between patriotism and nationalism and just generally geek out. 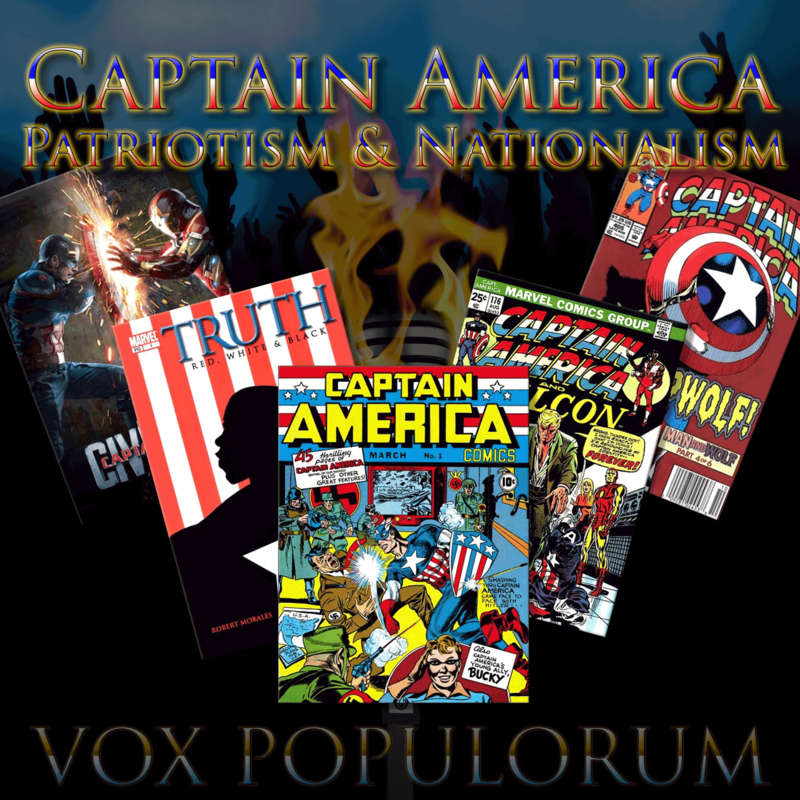 Also… we talk Cap Wolf… because of course we do. and of course, Cap Wolf!